Is Viad Corp (VVI) Going to Burn These Hedge Funds? Viad Corp (NYSE:VVI) was in 14 hedge funds’ portfolios at the end of September. VVI investors should pay attention to a decrease in hedge fund interest in recent months. There were 15 hedge funds in our database with VVI positions at the end of the previous quarter. 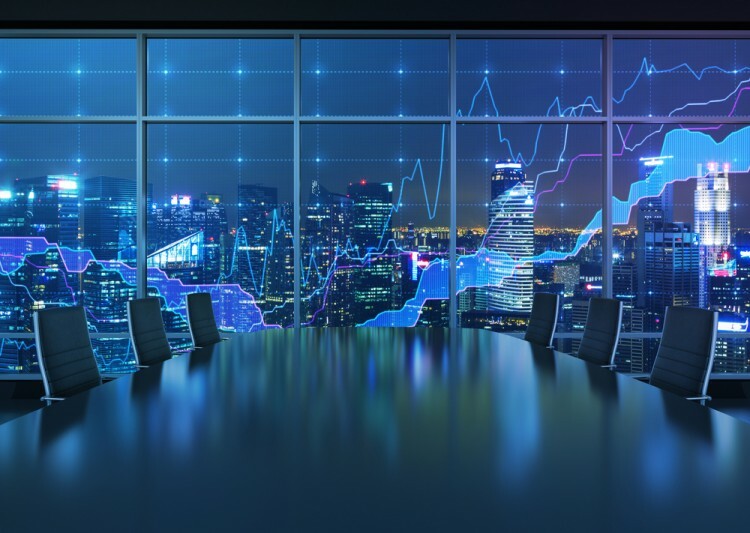 The level and the change in hedge fund popularity aren’t the only variables you need to analyze to decipher hedge funds’ perspectives. A stock may witness a boost in popularity but it may still be less popular than similarly priced stocks. That’s why at the end of this article we will examine companies such as National Western Life Group, Inc. (NASDAQ:NWLI), Tobira Therapeutics Inc (NASDAQ:TBRA), and Workiva Inc (NYSE:WK) to gather more data points. With all of this in mind, let’s take a peek at the latest action regarding Viad Corp (NYSE:VVI). How are hedge funds trading Viad Corp (NYSE:VVI)? At Q3’s end, a total of 14 of the hedge funds tracked by Insider Monkey were bullish on this stock, a drop of 7% from one quarter earlier. 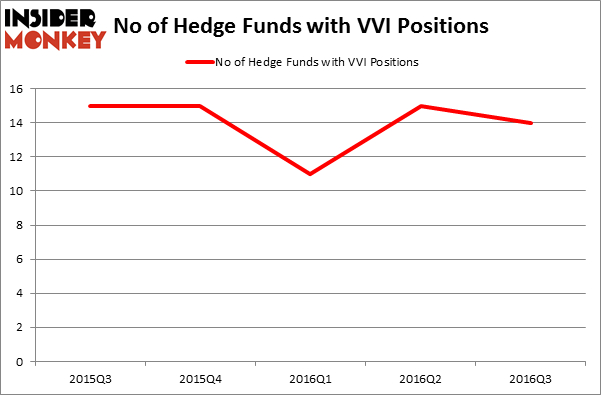 The graph below displays the number of hedge funds with bullish position in VVI over the last 5 quarters. With hedge funds’ sentiment swirling, there exists a select group of notable hedge fund managers who were upping their stakes substantially (or already accumulated large positions). When looking at the institutional investors followed by Insider Monkey, Thomas E. Claugus’ GMT Capital holds the largest position in Viad Corp (NYSE:VVI) which has a $70.9 million position in the stock, comprising 1.4% of its 13F portfolio. Coming in second is Michael M. Rothenberg of Moab Capital Partners which holds a $32 million position; 10.4% of its 13F portfolio is allocated to the stock. Other hedge funds and institutional investors that are bullish encompass Jim Simons’ Renaissance Technologies, Martin Whitman’s Third Avenue Management and Cliff Asness’ AQR Capital Management. We should note that Moab Capital Partners is among our list of the 100 best performing hedge funds which is based on the performance of their 13F long positions in non-microcap stocks. Vince Holding Corp (VNCE): Hedge Funds Keep Heading Elsewhere Is It Time to Buy Ultra Clean Holdings Inc (UCTT)? Smart Money Thinks So. Should You Get Out of UniFirst Corp (UNF) Now? Hedge Funds Are. Is Vitamin Shoppe Inc (VSI) Going to Burn These Hedge Funds? Helen of Troy Limited (HELE): 73% Surge in Smart Money Ownership; What’... Is Cabot Corp (CBT) A Good Stock to Buy?